Magnatech introduces an entirely new line of easy-to-operate tools for autogenous tube welding. Five models with overlapping ranges cover tubes from 25mm to 75mm (1.0" - 3.0") O.D. Magnatech's 1000 Series Heads make tube-to-tube and tube-to-fitting welds in less time with precision and repeatability. The double-clamping design simplifies work piece fit-up and eliminates tack welding in many cases. Collets are available for any tube and fitting size. Rigid collet design never needs replacement Digital technology forever eliminates the need for periodic weld Head calibration - rotation speed remains accurate regardless of Head wear and Heads can be interchanged without time-consuming recalibration. Internal water cooling standard – simply connect to a commercial water recirculator for high duty cycle applications. 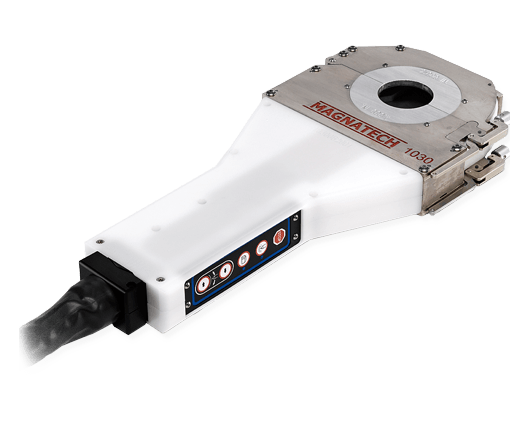 Magnatech introduces an innovate solution to orbital tube welding with it's modular EZ Orbital Welding Systems. The Model 517 is a tube welding controller that integrates the operation of a standard, commercial GTAW power source with the weld head. The new line of weld heads, the 1000 Series, with digital control of rotation speed regulation, ensuring perfect repeatability.